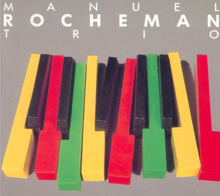 Manuel Rocheman comes from a family of musicians. On his mother’s side, his grandmother is a piano teacher, his grandfather a flautist, his mother plays cello and viola and his aunt the violin. His father, Lionel Rocheman (guitarist and actor), created the “Hootenanny” at the American Center in Paris, where performers came from around the world. As a 10 year old his brother gave him a wonderful record of Oscar Peterson playing solo (it was ‘Tracks’); Manuel already had his own track-record of four years of piano. Listening to the Canadian virtuoso gave him a great feeling of freedom and made him want to go down the same road. He was entirely won over by the harmony and rhythm of the language of Jazz. 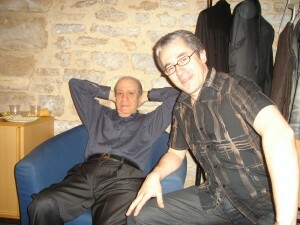 Pianist Bob Vatel invited him to come and jam in Paris Jazz clubs when he was 12. Manuel had to get himself technically equipped, which he did by meeting Alberto Neuman at the C.N.R de Paris, one of the rare disciples of Arturo Benedetti Michelangeli. At his side he greatly developed his piano technique. He also took music academy courses in writing and percussion. 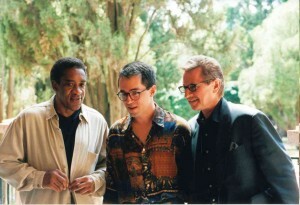 In parallel he worked with Jazz pianists Gabriel Garvanoff and Michel Sardaby. While staying in New York in 1980 he met Tommy Flanagan and Jaki Byard who urged him on. He kept in close touch with them until they passed away. That same year Bob Vatel introduced him to Martial Solal and as chance would have it Martial accepted to take Manuel on as his only pupil. By 1983 he was performing professionally in Paris with a trio, in 1984 he played two pianos with Martial Solal at the Paris Jazz Festival and from then on it was one engagement after another. The profession was very quick to acknowledge his immense talent: best French pianist at the Martial Solal Jazz Piano international competition in 1989. 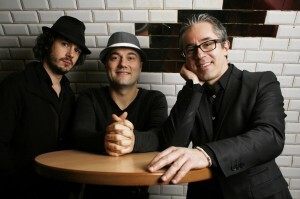 In 1991 he won the best disc award from the Académie du Jazz for his first CD Trio Urbain. In 1992 he won the Django d’Or for the best French disc for his second CD White Keys. 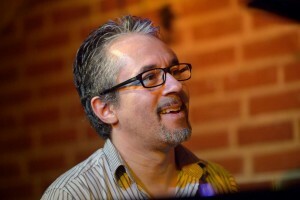 Won over by his personality and his talent, Fondation BNP Paribas, one of the few sponsors on the jazz scene, accompanied his career development from 1995 to 2002. In 1998 he won the Django Reinhardt Prize of the Académie du Jazz for the musician of the year. 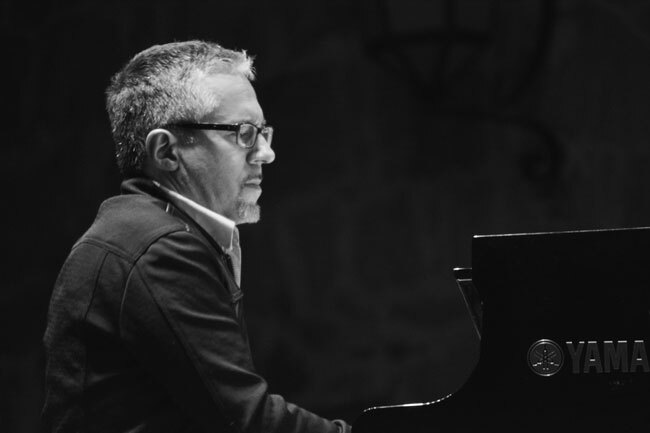 Appearing often in trio, in solo or as a duo with Olivier Ker Ourio or Sara Lazarus, Manuel Rocheman is making his mark as one of the greatest pianists of the day. Performers from all walks seek him out, from Rick Margitza to Sylvain Beuf, drummers Al Foster and Aldo Romano, double-bass players George Mraz and Kyle Eastwood, while the Orchestre National de Jazz commissioned a piece from him: ‘San Felipe’ was created for the ONJ and the Orchestre Philharmonique de Montpellier. Manuel has demonstrated his talent as a composer on his albums, particularly those recorded in New York with two giants, double-bass player George Mraz and drummer Al Foster, and « Cactus Dance » recorded with Scott Colley ( bass) and Antonio Sanchez (drums). “I love this record , it represents a very important step for me, I am a big fan of Brazilian music. The conception of this album was magical, with a lot of emotion. 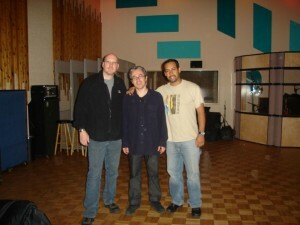 Toninho was very involved in this project, he took particularly care of the production of this album. The result exceeded all my dreams , there is the permanent musical joy and also a very deep feeling”. 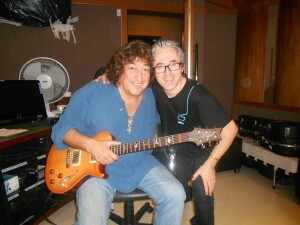 His collaboration with the great Brazilian musician Toninho Horta and his participation in saxophonist Rick Margitza latest projects have considerably influenced Manuel in terms of composition. Radio-France, Auditorium du Châtelet, Cité de la Musique (Paris and Marseille), Salle Gaveau, New Morning in Paris with George Mraz and Al Foster, and most of the Festivals : Festival de Jazz de Paris, Festival de Radio-France et de Montpellier, Festival d’Antibes Juan-les-Pins, Grande Parade du Jazz in Nice, JVC Halle that Jazz, Festival de Cannes, NJP, Jazz sur son 31, Jazz en Baie, Capbreton Jazz Festival, Copenhagen Jazz Festival, Savassi Jazz Festival. Festival Cervantino (Mexico), Punta del Este (Uruguay), Vancouver, Toronto, Montréal, Ottawa (Canada), he played in the U.S. with his trio in New-York, Washington, Miami, New-Orleans, Denver, Chicago, Knoxville and Minneapolis and has performed in most of the important European Jazz Festival and toured in South America. Toninho Horta, Anthony Ortega, Kyle Eastwood, Al Foster, George Mraz, Antonio Sanchez, Scott Colley, Rick Margitza, Chuck Israels, Olivier Ker Ourio, Didier Lockwood, Jean-Luc Ponty, Victor Lewis, Jean-Loup Longnon, Teddy Edwards, Johnny Griffin, Bill Mobley, Rich Perry, Sylvain Beuf, Peter Erskine, Dusko Goykovich, Michel Legrand, Eddie Gomez, Eddie Henderson, André Ceccarelli, Aldo Romano, Sara Lazarus, Charles Aznavour, Patrice Caratini, Greg Tardy. Né le 23 juillet 1964 à Paris (France). 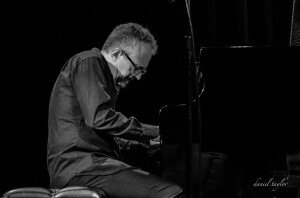 Pianiste doué qui fut longtemps considéré comme le « dauphin » de Martial Solal, Manuel Rocheman s’est distingué par une évidente virtuosité et un sens aigu de l’harmonie qui en font un pianiste raffiné particulièrement à son aise dans le cadre d’un trio. Issu d’une famille musicienne, formé au CNR de Paris où il étudie auprès de Alberto Neuman, l’un des rares disciples d’Arturo Benedetti Michelangeli, il découvre le jazz grâce à un disque d’Oscar Peterson dont il revendique l’influence ainsi que Phineas Newborn et Martial Solal avec lequel, à partir de 1980, il parfait un apprentissage du jazz entamé auprès de Michel Sardaby. A l’occasion d’un séjour à New York, il a fait, encore adolescent, la connaissance de Tommy Flanagan et de Jaki Byard. Son oreille s’enrichit à l’écoute des trios de Bill Evans, Keith Jarrett, Tete Montoliu et Chick Corea. Comme son maître, Rocheman affirme son talent en se confrontant aux règles du jeu triangulaire et en travaillant dans le respect des formes pour mieux stimuler son sens de l’improvisation. Son expérience de l’improvisation libre auprès du contrebassiste Didier Levallet le conforte dans ses orientations esthétiques. Outre des compositions personnelles, il s’applique de plus en plus fréquemment à l’interprétation de standards en ayant le soin d’en proposer des versions renouvelées : « L’intérêt n’est pas le standard en lui-même mais ce qu’on en fait en triturant les grilles harmoniques, en transposant les tonalités », explique-t-il. Manuel Rocheman a manifesté son talent de compositeur au fil de ses albums, notamment ceux enregistrés à New-York en compagnie de deux géants, le contrebassiste George Mraz et le batteur Al Foster, ainsi que Scott Colley et Antonio Sanchez avec lesquels il enregistre «Cactus Dance » en 2007. Son dernier album “Café & Alegria” a été enregistré au Brésil avec le mythique guitariste et compositeur, Toninho Horta. Manuel se produit actuellement partout en France et dans le monde. Il a principalement collaboré avec Toninho Horta, Anthony Ortega, Kyle Eastwood, Al Foster, George Mraz, Antonio Sanchez, Scott Colley, Rick Margitza, Chuck Israels, Olivier Ker Ourio, Didier Lockwood, Jean-Luc Ponty, Victor Lewis, Jean-Loup Longnon, Teddy Edwards, Johnny Griffin, Bill Mobley, Rich Perry, Sylvain Beuf, Peter Erskine, Dusko Goykovich, Michel Legrand, Eddie Gomez, Eddie Henderson, André Ceccarelli, Aldo Romano, Sara Lazarus, Charles Aznavour, Patrice Caratini.